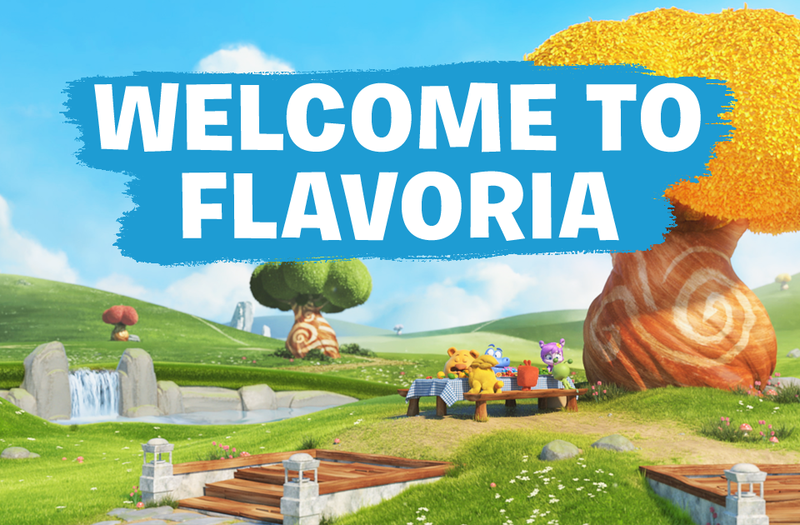 Welcome to Flavoria, a world where food is fun! 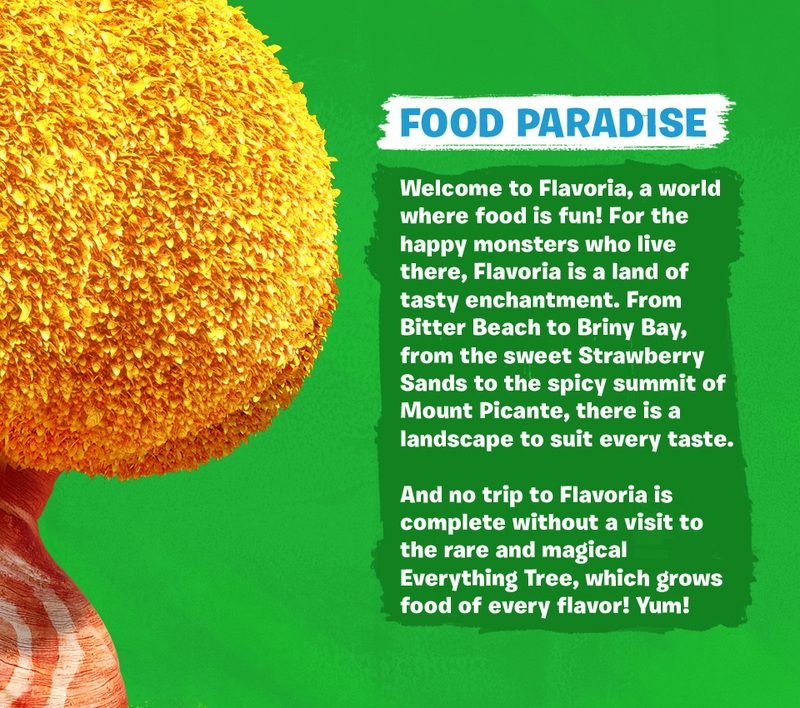 For the happy monsters who live there, Flavoria is a land of tasty enchantment. From Bitter Beach to Briny Bay, from the sweet Strawberry Sands to the spicy summit of Mount Picante, there is a landscape to suit every taste. 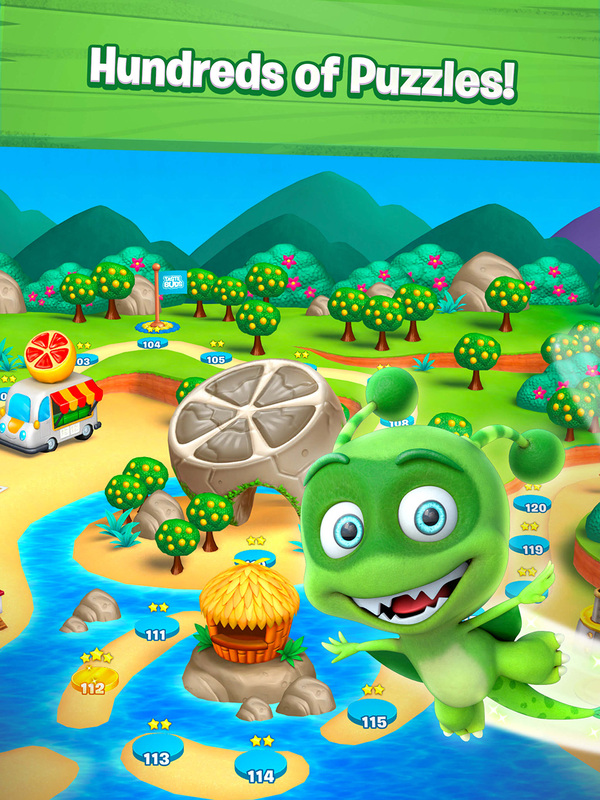 And no trip to Flavoria is complete without a visit to the rare and magical Everything Tree, which grows food of every flavor! Yum! 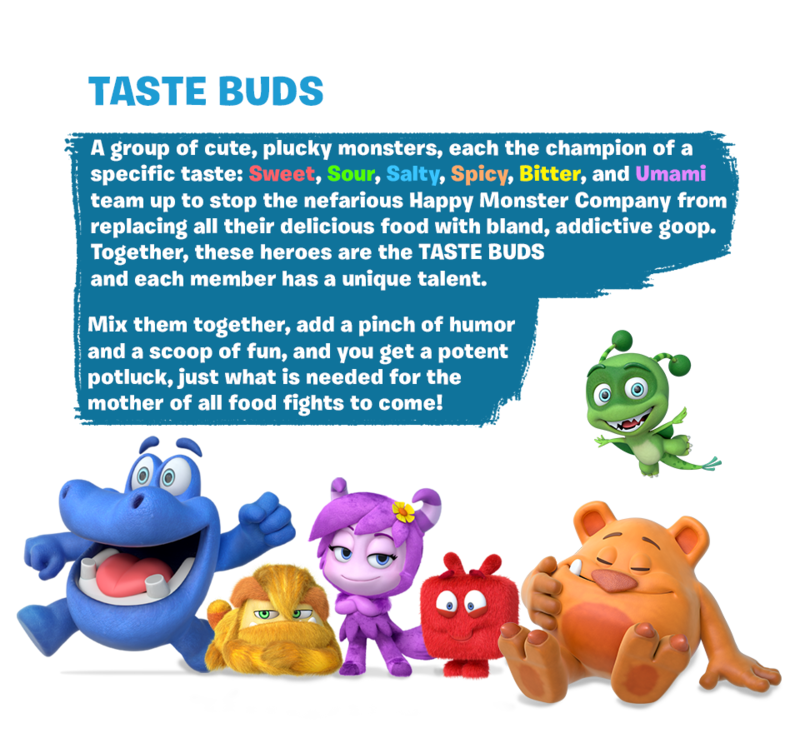 A group of cute, plucky monsters, each the champion of a specific taste: Sweet, Sour, Salty, Spicy, Bitter, and Umami team up to stop the nefarious Happy Monster Company from replacing all their delicious food with bland, addictive goop. Together, these heroes are the TASTE BUDS and each member has a unique talent. 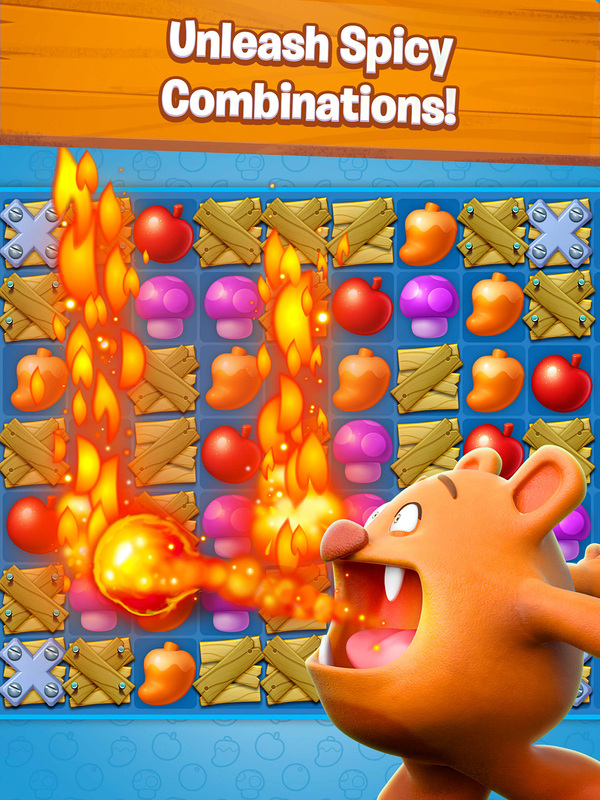 Mix them together, add a pinch of humor and a scoop of fun, and you get a potent potluck, just what is needed for the mother of all food fights to come! 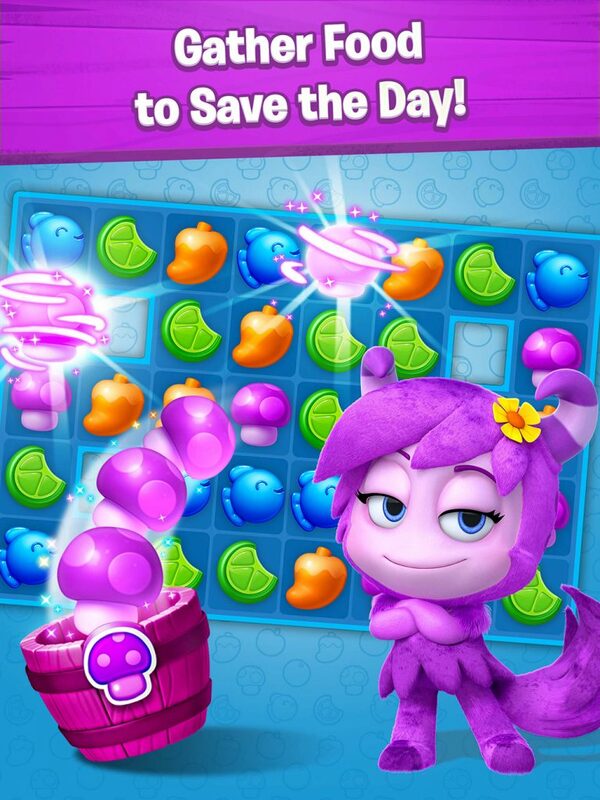 One day, delicious food begins to disappear all over Flavoria! Monsters everywhere feel something they’ve never felt before: hunger! 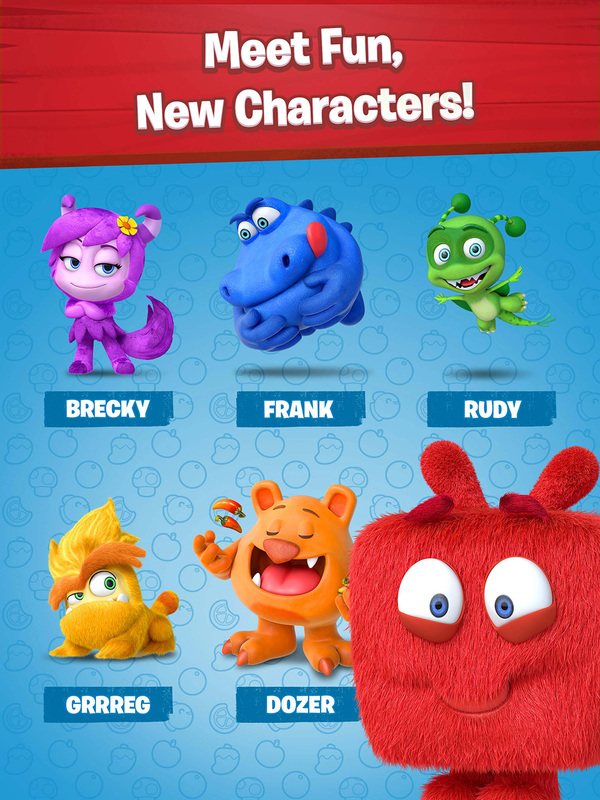 Shortly after, mysterious “Happy Monster Company” factories begin to sprout up across the land. Orson, the company’s charismatic CEM (Chief Executive Monster), arrives to save the day. “Hungry? Don’t worry!” says Orson. “Try my nutritious Grool™. 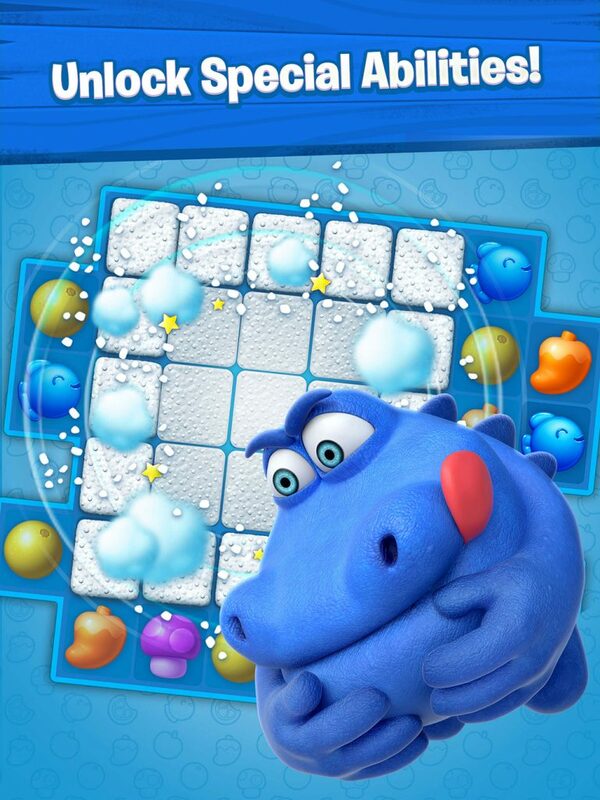 Born without taste buds, Orson despises all flavor. 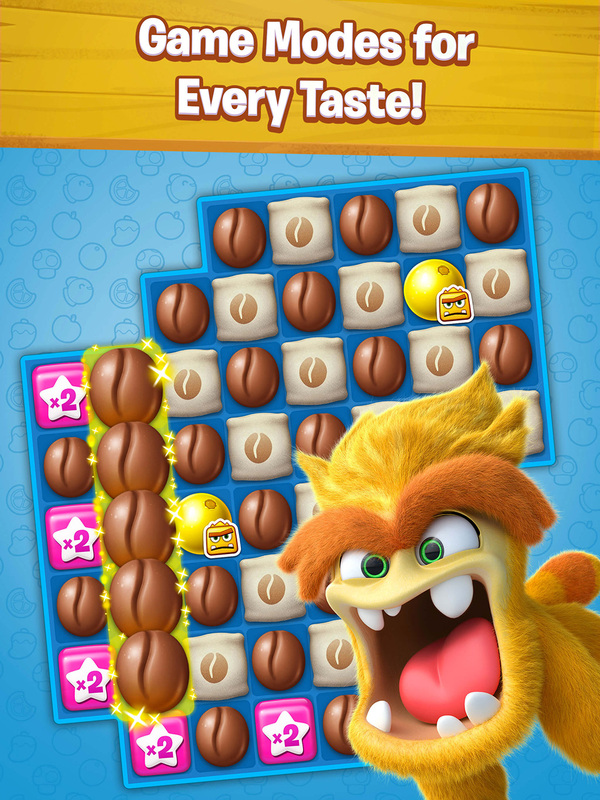 If he can’t enjoy tasty food, neither will any other monster! 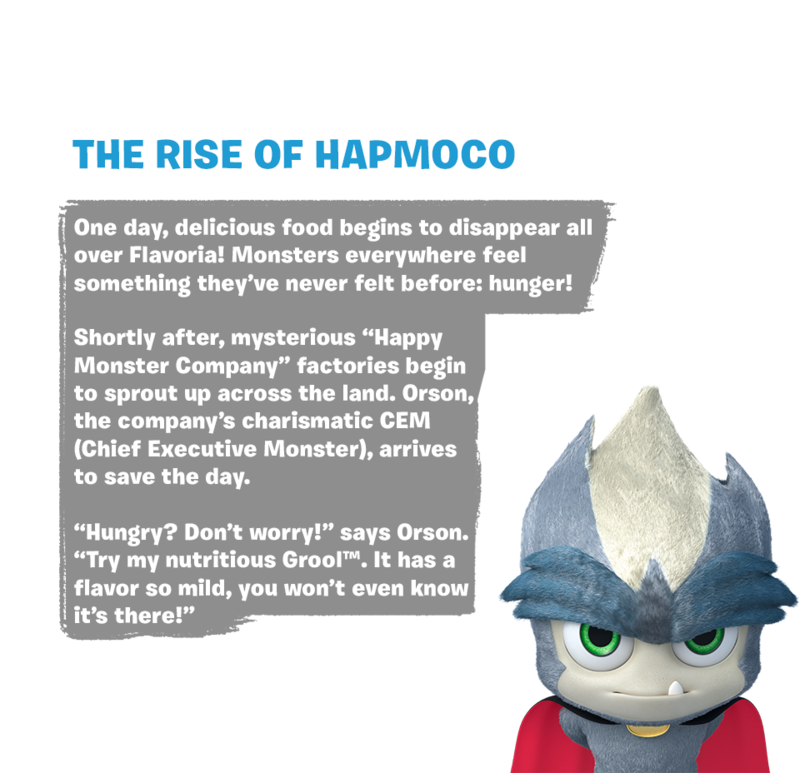 So, with the help of the Thingamaguys, he secretly steals all the good food and replaces it with his perfectly tasteless, addictive, Grool™ substitute. 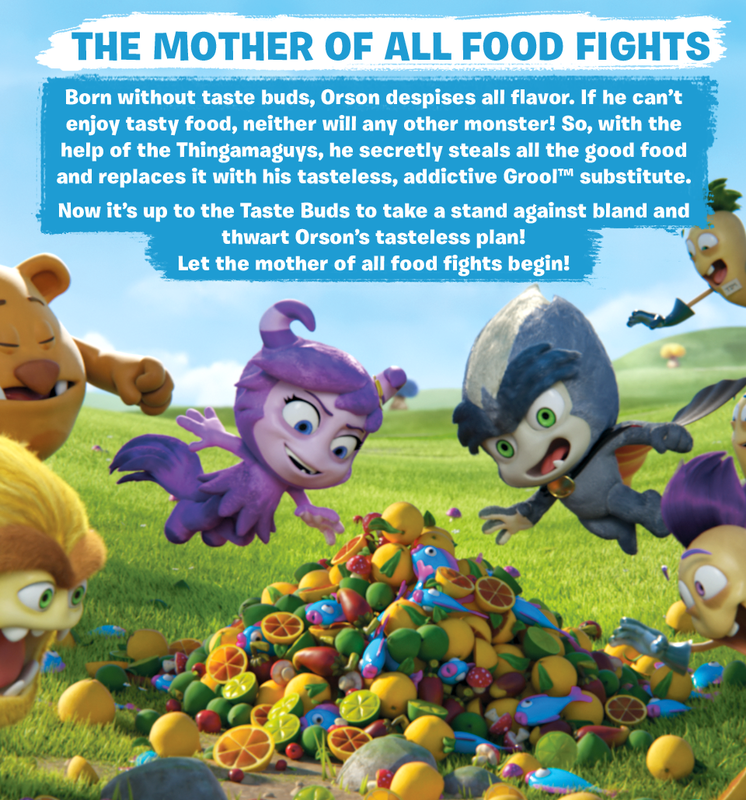 Now it’s up to the Taste Buds to take a stand against bland and thwart Orson’s tasteless plan! Let the mother of all food fights begin!